The Prometheus MC consists of the Dolos take-down system as well as the MC 6.5 inch MLOK handguard. 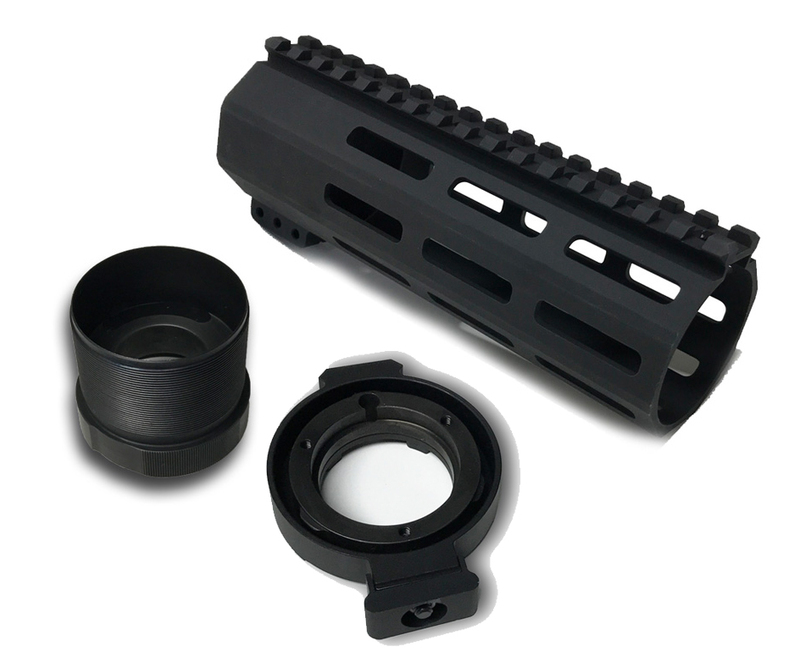 Installing this kit on an existing AR15 or new build will allow you to drastically decrease the footprint of your AR rifle or pistol for efficient storage or discreet transport, with a repeatable zero each time it is assembled. Once mounted on the lock collar, the handguard will be a total length of 7 inches from the face of the upper receiver. 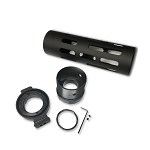 To add an additional barrel setup for caliber changes, etc., you will need to purchase an additional Dolos Lock Collar.